Home » FAQ » What Makes a Window Energy Efficient? You probably have heard the term LowE- that stands for low emissivity. It’s a coding put on the inner part of the exterior window pane to reflect light and heat back out. It keeps whatever the climate is inside the house inside and the climate outside, outside. Argon gas is another way of insulating the window sashes. Argon gas is heavier than air which is inserted after air is vacuumed out between the panes. If you want to meet energy star requirements in the southern region you really need to have the LowE coding on the glass and the Argon gas. Another option that we have to make a window more insulated is foam filled frames – in the master frame of the window and also the sash frames. This is really going to be more beneficial for colder climates. It’s hot here in Georgia so it’s not a must have in terms of energy efficiency but always an additional option if you want more insulation. Triple pane is another option. Triple pane windows would really only be needed for sound reduction in the southern region. Don’t be over sold on the energy efficiency of triple pane in hotter climates. The only benefit in Georgia for triple pane, in my opinion is for sound reduction. Triple pane is a great option for sound reduction in homes that are in high traffic areas. We know there are a lot of options and we try to make this a simple process for you! You really only need double pane with LowE and Argon Gas filled panes. This is what we build into all of our windows at The Window Source Atlanta. Dont get overwhelmed! We can show you a demonstration and make the process extremely simple. 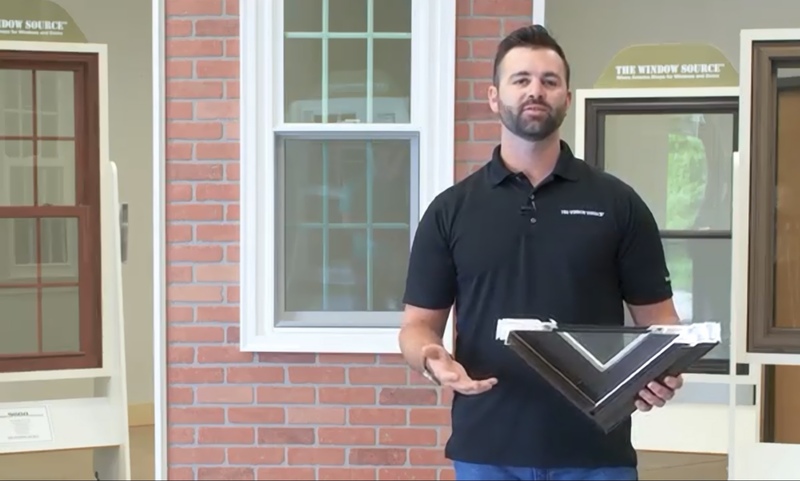 For a free demonstration on energy effecient replacement windows, give us a call 470-275-5159. How Much Energy will I Really Save with New Windows?